MANILA - Ousted Chief Justice Maria Lourdes Sereno on Wednesday accused the Palace of "confusing the narrative" surrounding the withdrawal of the amnesty for Senator Antonio Trillanes IV. 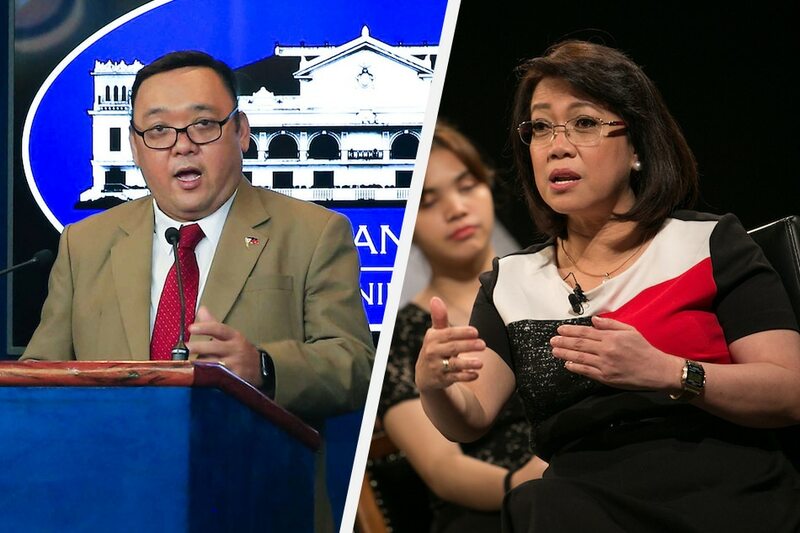 Sereno was reacting to Presidential Spokesperson Harry Roque, who said there was no more legal impediment to the implementation of a proclamation that voided amnesty for President Rodrigo Duterte's most vocal critic. In his proclamation, Duterte ordered the military and police "to employ all lawful means to apprehend" Trillanes, a former Navy lieutenant. Roque said authorities would await the decision of two Makati courts, which tried the lawmaker for coup d'etat and rebellion over failed uprisings in 2003 and 2007. Sereno, who visited Trillanes in his office Wednesday, said she didn't think the Palace official had the intention to help clarify things. "The way they structure the thought process is alarming by itself. That means there is an objective of confusing the narrative," Sereno told reporters. The Supreme Court on Tuesday denied Trillanes' plea for a temporary restraining order and ruled that the Makati court must decide on the legality of the President's proclamation. "The narrative is pretty straightforward. The Supreme Court has already called attention to the fact that there are these public undertakings that are consistent with what the Constitution requires. That is no arrest without a court-issued warrant," she said. Trillanes has been holed up in his office since Tuesday last week saying he could not be arrested without a warrant. Sereno, a vocal administration critic, was removed as Chief Justice in May on the petition of Solicitor General Jose Calida. It was also Calida who dug up documents on Trillanes' amnesty, Duterte earlier said.